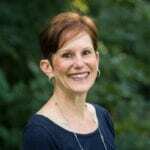 According to the National Women’s Business Council, women-owned businesses account for 36% of all privately-held, non-farm companies in the U.S., up 27% from 2007. These statistics are positive and encouraging; however, it is commonly known that women lag behind men in the number of tech startups created and key technical roles held in companies. With technology being such an important driver of our economy, it is essential that we close the gender gap and boost the number of women starting tech companies and occupying critical technical jobs across industries. How do we increase women’s participation in STEM so that more women want to establish tech startups, hold top technology roles, and take on leadership positions? We can start by exposing girls to technology and the concept of entrepreneurship at a young age. One way we can do that is by encouraging them to participate in the Technovation Challenge, the world’s largest technology entrepreneurship programs for girls 10-18. The program teaches mobile app development, entrepreneurship and community engagement. The curriculum is online and free to everyone, and no experience is needed. During a 12- or 20-week program, girls start by identifying a problem in their local community. They work in teams with female industry mentors to develop a mobile app and create a business plan to launch a company. The app must address a real-world problem aligned with one of the six Technovation themes of the UN Sustainable Development Goals: peace, equality, poverty, environment, education and health. Girls learn about technology and develop skills in computer science, app development, desi gn thinking, problem-solving and business. Specifically, girls will learn to code using App Inventor, a programming language used for making mobile apps. At the completion of the program, teams submit their app, a business plan (senior division only) and a demo video to be judged by Technovation. Each year awards are given to top teams in each Sustainable Development Track. The program concludes at the World Pitch Summit in Silicon Valley in August when finalists from around the world come together to celebrate their accomplishments and attend workshops, network, visit tech companies and pitch their businesses in a live competition. 26% of alumnae in college major in Computer Science (CS). This is 65x the national rate of 0.4% of first-year female college students majoring in CS. 58% of alumnae enroll in subsequent Computer Science courses. 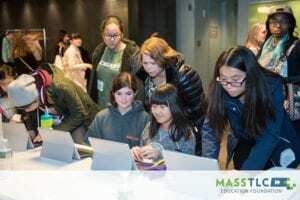 I spoke with Rachel Nicoll, Project Manager at MassTLC Education Foundation, about their involvement in Technovation. The Massachusetts Ed Foundation focuses on computer science education and building pathways to technology careers, particularly for underrepresented groups. Rachel told me that Technovation was started in Massachusetts in 2012 by two teachers, also the co-chairs of the Greater Boston CSTA chapter (Computer Science Teachers Association), from the Advanced Math & Science Academy Charter School in Marlborough, MA. An important part of the Technovation program is industry mentors, who offer both guidance and inspiration to the girls on the teams. 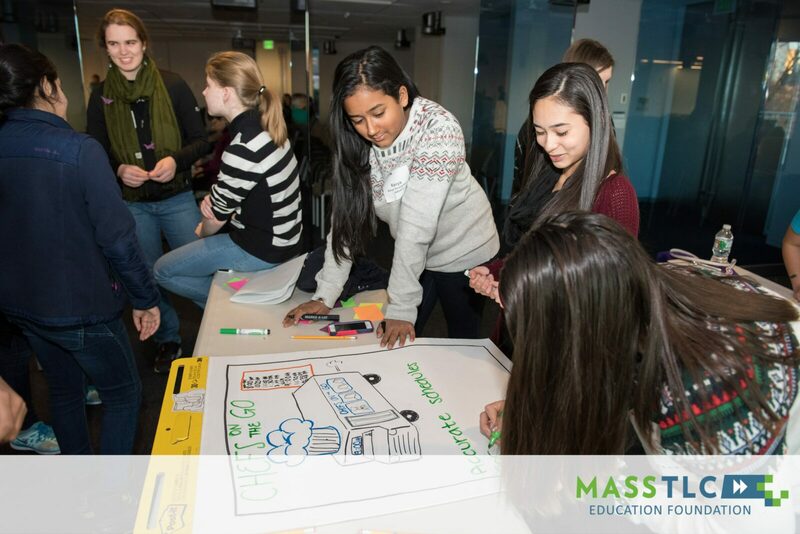 These two teachers came to the MassTLC Ed Foundation in 2014 and asked for assistance with finding industry mentors. The Foundation decided to get involved and through Technovation it is actively engaged in educating female tech entrepreneurs. Girls who have participated in the program truly enjoy and understand the benefits from being part of Technovation. 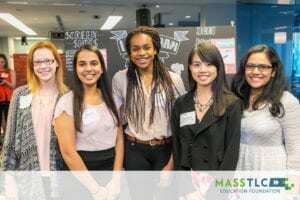 Watch this two-minute video created by MassTLC Ed Foundation to hear what girls think about the program. It is a powerful example of how Technovation empowers girls to explore and embrace tech entrepreneurship. Ready to Join a Team? If your school does not have a team, it is recommended that you first find friends/classmates who would be interested in forming a team. When you have enough members, the next step is to find a teacher(s) who can volunteer to facilitate the course. Visit the FAQ session of the website to get answers to your questions. Through the Technovation Challenge, girls not only acquire technology, coding and business skills, they learn the importance of entrepreneurship, teamwork and collaboration. The results demonstrate the tremendous impact this program has achieved by reaching girls who might not have considered studying Computer Science or pursuing tech entrepreneurship. I am an advocate for tech programs like Technovation Challenge, Girls Who Code and FIRST robotics because they have such a positive influence on getting girls curious about and committed to studying Computer Science and other technical subjects. In the case of Technovation, being part of creating a tech startup is a great way to ignite a girl’s interest in STEM.